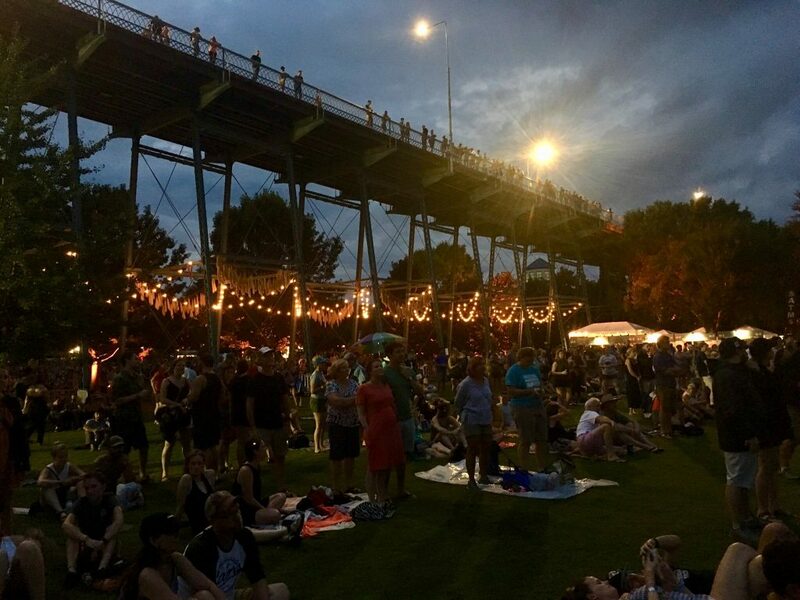 While many artists were no strangers to Holcomb’s home state and muse, Tennessee, the Seattle-based headliner The Head and The Heart experienced Chattanooga for the very first time at Moon River. 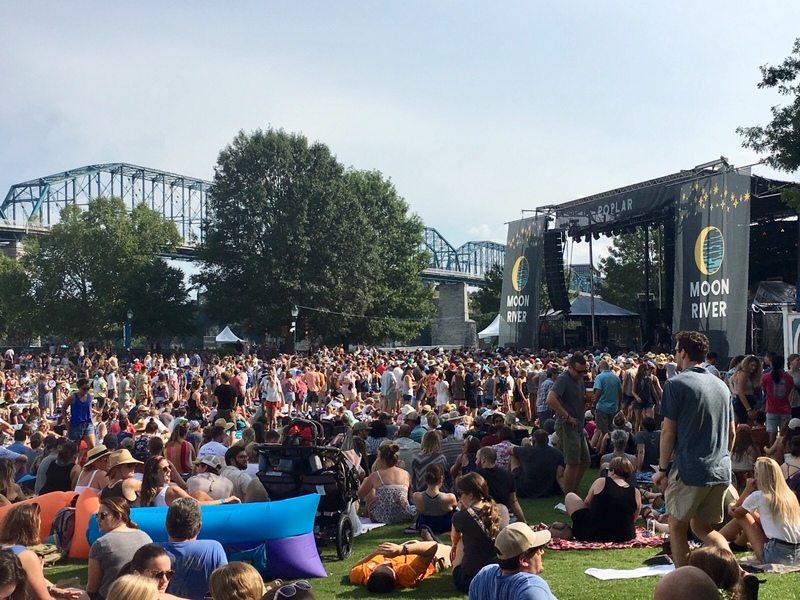 After a day that was otherwise marked by the delicate harmonies of I’m With Her and the Secret Sisters, and banjo-playing fit for a jamboree courtesy of Trampled By Turtles, Saturday’s headliner brought the west coast’s alternative-rock scene to Chattanooga. The sheer energy displayed by the crowd as they traded lines on “Lost In My Mind,” and “Down In the Valley,” suggested they happily accepted the night’s change of pace. Inclement weather loomed threateningly over Moon River during the course of the weekend but could not deter fans from celebrating their favorite artists and exploring the park’s grounds. 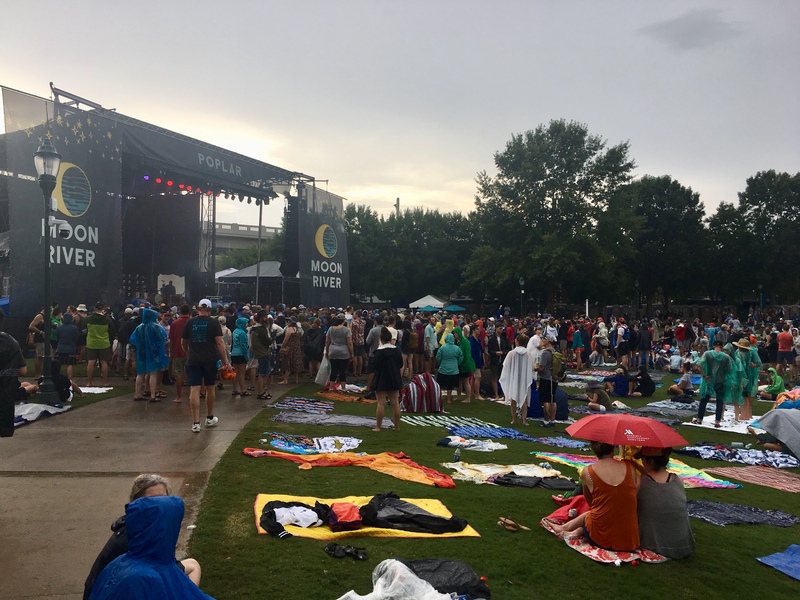 On Sunday, a sea of rain-poncho-clad fans stood before the Poplar stage; they were staking out the best spots from which to watch Margo Price take the stage with her band. While Price’s undeniable swagger and strength as a performer is already widely-known, it was proven once again when she opened her set with the howling first lines of “Tennessee Song” as the rain descended upon Moon River. Price was not the only artist to deliver new music for the Moon River crowd. The Nashville based indie-rock band, Colony House, debuted “Lights On,” for festival goers. Frontman Caleb Chapman kept up a playful banter with the crowd, asking fans to let loose as if this were their favorite song, telling them, “New songs are like the friend that came with your friend.” Judging by the amount of clapping hands and bobbing, dancing bodies, the crowd became fast friends with the infectious, sprightly new track. While many sets were platforms for festival-goers to find some new favorite songs to add to their current playlists, Sunday night’s final act clearly had a longstanding place in the hearts of the Moon River crowd. One could stand on the park’s rolling hillside and see Avett Brothers t-shirts in every direction. The setlist drew heavily from their most recent album, True Sadness (2016), yet still gave a robust portrayal of their full catalog. Many times, the band could hardly emit the first few notes of the song without the crowd erupting in all-encompassing cheers of delight. The success of this year’s festival will undoubtedly have people returning next year for their very own Moon River family reunion.